Here’s a sobering fact for anyone with a spider phobia: At any time, wherever you are, there’s bound to be a spider of some description about a metre away. It could be in your Geelong house, or office building, or outside on a wall, hanging in a web up in the trees, or in a hole down in the ground. Not all spiders are pests, and only one in Geelong is dangerous, but if you have an infestation of any of them and need to rid your Geelong commercial premises, home or yard, then call Acacia Pest Control and an exterminator will identify the spider and deal with the problem via safe treatment and control methods. Spiders are important to the ecosystem, and if possible, it’s best to leave them alone. Victoria has only one spider responsible for deaths, and that’s the Redback, but no deaths have been recorded in over 60 years, since the first antivenom was provided. 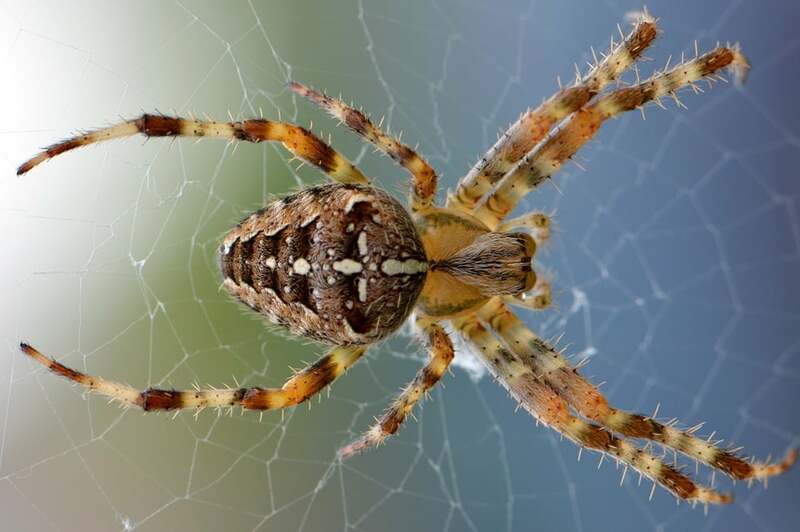 The best way to control spider pests is to prevent them from coming into your Geelong premises, and to avoid bites, wear gloves if gardening or working outside. If you have a spider infestation that’s out of control in your Geelong premises, you’ll need help with fumigation by a pest exterminator to apply a fumigation treatment to the pest problem quick-smart. Why Are Spiders So Harmful? Do You Need a Spider Control Expert? Do you have a serious spider pest problem in your Geelong workplace or home? You’ll need a spider exterminator for fumigation, treatment, and control of your problem. Spider control via fumigation and treatment solutions are as important in a commercial setting as in the home. So call Acacia Pest Control today to deal professionally and effectively with any spider pest infestation problem. A skilled Geelong pest exterminator will skilfully use fumigation on the infestation and apply expert control techniques so call Acacia Pest Control for advice. Redback spider: Found in Geelong backyards and all over the rest of Australia in loose, untidy webs, usually in sheltered areas. Venomous. Huntsman spider: This big spider is often found in Geelong homes, cars and offices. Although they’re the spider of nightmares, the Huntsman spider is timid and relatively harmless. They’re backyard buddies; they eat cockroaches, and other insects and spiders. White-tailed spider: This spider often visits homes and buildings. They’re nocturnal hunters and feed on other spiders, particularly black house spiders. Brown house spider: This spider has a body shape and web similar to a Redback,, but doesn’t have the red stripe. Black House spider: Black house spiders build lacy webs with funnel-shaped entrances, usually in the corners of windows. Wolf spider: This ground-dwelling hunter, distinctive when the spiderlings ride on the mother’s back; found in Geelong backyards. Daddy long-legs spider: This spider is a common indoors, making webs around furniture, and in the corners of ceilings. They eat insects, silverfish and other spiders. Mouse spider: Lives in burrows with double trap-doors. The female stays near the burrow, and the males wander in Autumn/Winter. Rarely aggressive. Melbourne Trapdoor spider: You might find a male who is searching for a mate in late Autumn and Winter. Their bite can be painful, but the venom isn’t dangerous. Red and Black spider: This spider only grows to around 12mm. Common in the Geelong garden, but often mistaken for a Redback. Not dangerous, and the bite only causes a small local swelling. Victorian Funnel-web spider: This is the only Funnel-web (Hadronyche modesta) found in Victoria, in the Dandenong Ranges. Not aggressive or dangerous, but you may feel ill and headachy if bitten. Harvestmen: Technically not spiders. They have two rather than eight eyes. They eat spiders, insects, plants, and the rotting carcasses of mammals and birds. At Acacia Pest Control Geelong we keep abreast of all the latest spider control innovations. We support over 200 local businesses and over 10,000 families by providing professional exterminators for fumigation and treatment solutions for any spider pest infestation. The only spider pest found in Geelong and the rest of Victoria that is highly venomous is the Redback spider, and all hospitals carry the spider antivenom to deal with the problem if someone is bitten. Most spider pests use venom to kill their prey, and usually a bite only results in mild inflammation or irritation. But anyone allergic will likely have a reaction, or if the spider’s fangs have bacteria on them when they bite, an infection could set in at the site. The White tail spider is known for this in rare cases. The Redback spider and the Sydney funnel-web are the only two spiders that have caused deaths in Australia. Antivenom for the Redback spider was introduced in 1956, and Sydney funnel-web antivenom in 1980, with no recorded deaths since then. It’s often said that the fear of a spider bite is sometimes worse than the bite itself. In Autumn in Australia, you’ll find that spiders are more likely to come inside your Geelong home or commercial premises looking for a warm home. Most spider infestations are more a nuisance than a problem and can be dealt with by vacuuming the webs and spiders and throwing the contents of the vacuum bag into the dustbin. Generally, you’d be advised to leave the spider alone, and let it eat the insects, but if you have a few Redbacks looking for free lodgings, it can be a problem. Also, if you have a spider phobia (arachnophobia), then you’ll need an exterminator to come to your Geelong home or office and get rid of the spider problem via treatment and control techniques that can ensure the problem doesn’t return. Vacuum high and low, and regularly: Do this especially in sheltered spots in your Geelong home or commercial premises; places such as underneath worktops, the backs of cupboards and behind and under furniture. 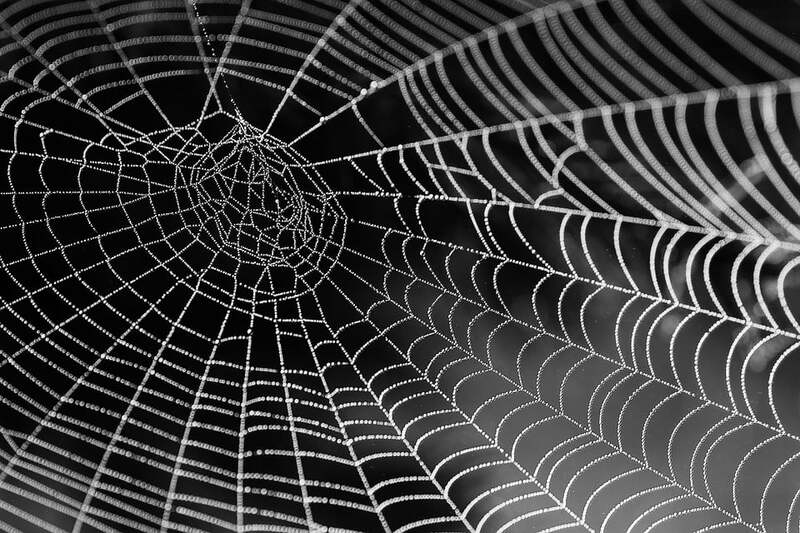 Remove webs: Regularly vacuum webs from your Geelong home. Fill in any gaps: Gaps in walls, under doors and around pipework in your Geelong premises can shelter a spider, or allow one inside, so fill the gaps to deter entry. Remove sheltering areas: Garden bags, compost piles, firewood stacks, garden bags, and general clutter around your Geelong house should be removed. Deter insects: spiders eat insects, so in your Geelong premises try using the kind of lights that don’t attract mosquitoes and other insects, and install fly screens. At Acacia Pest Control Geelong, we strive to be the best at identifying, qualifying and delivering spider fumigation treatments and control. Our exterminators have solutions that go beyond our customer’s expectations. A spider is easily recognised from other pests because it will have eight legs and eight eyes. While some people happily tolerate them, others can’t bear the mere thought of a spider. Spider pest treatment and control by an exterminator is important for anyone with a real dread of spiders, but also to ward off a larger or repeat infestation. It’s near impossible to eliminate spiders from a home or office in Geelong or anywhere for long periods because they don’t build large nests and congregate the way other pests do, so the population can’t be killed by concentrating on one site. Once a bunch of spiders has been removed from your Geelong premises by a pest exterminator, other spiders will eventually return – they’re blown in on the wind – and easily recolonise an area. Sprays applied directly will kill the spider, but treatment must be applied often to control an infestation. 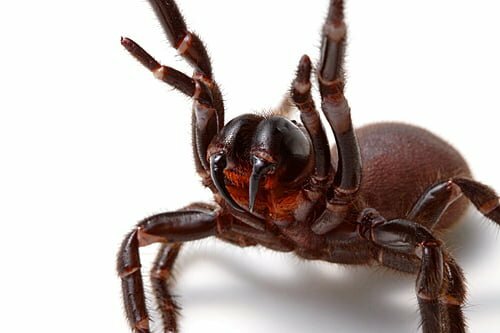 At Acacia Pest Control Geelong, our professional exterminators are highly knowledgeable about spider habits, breeding, and behaviour, and can provide effective treatment and control methods. The safe removal of a spider pest infestation in your Geelong home or business has changed over the years. In the past, pest control companies commonly used dust and sprays to treat and remove a spider problem in homes and offices. 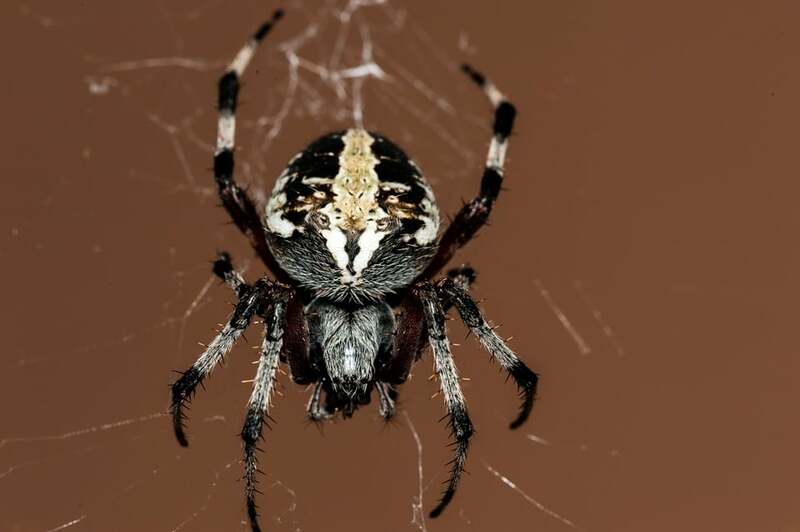 Now we’re more aware of how chemicals can be harmful to humans and the environment, so at Acacia Pest Control Services in Geelong we use natural methods of spider pest treatment and removal. 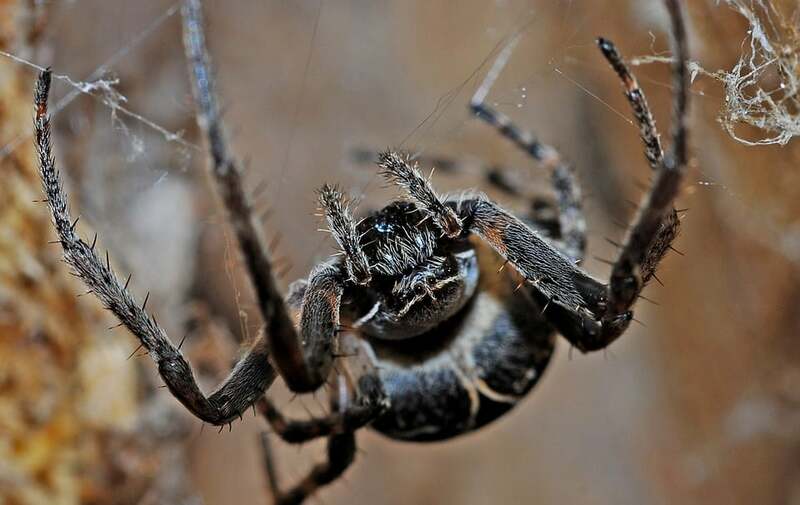 Before choosing a method for the treatment of a spider infestation, an Acacia Pest Control Geelong exterminator will identify the species and treat it accordingly. If you have a problem with an infestation or high population of any kind of spider in or around your Geelong home or yard, company offices, or other business premises, and want to be rid of it, call Acacia Pest Control on 1300 257 774 today or send an email to info@acaciapestcontrol.com.au.